Sacroiliac buttocks pain is one possible expression of several different SIJ disorders. Many patients experience pain in the perceived buttocks region, as well as in other possible areas of the lower body anatomy, including the pelvis, lower back, legs or even feet. The posterior SI joint basically exists within the anatomy of the hip and buttocks, so it is relatively common for patients to complain of pain deep inside the muscular anatomy. Buttocks pain is a very widely reported dorsalgia symptom, with a diversity of causative diagnoses being cited as possible explanations. Buttocks discomfort can indicate lumbar spinal pathologies, true spinally-motivated sciatica or pseudo-sciatica conditions, as well as local soft tissue injury, muscular imbalance or other causation. This essay examines the incidence of buttocks pain in association with sacroiliac joint diagnoses. We will also provide alternative explanations for these expressions to help patients minimize the chances of suffering misdiagnosis of their symptoms. The SI joints are located at the top of each side of the buttocks anatomy. Pain that is experienced in the sacroiliac tends to be highly variable in location from patient to patient, with some cases creating general discomfort though several regions and other cases involving highly specific locales for symptoms to occur. Many patients experience pain in the upper and middle buttocks region as part of their painful complaint when it comes to the SI joint. For patients who only have pain in the buttocks region, the cause is often soft tissue dysfunction of a specific ligament, often affecting the interosseous sacroiliac ligament or posterior sacroiliac ligament. For patients who suffer buttocks pain with radiating sciatica symptoms, there may be some compression of the sciatic nerve caused by the sacrospinous ligament. For patients who suffer buttocks pain with radiating groin or pelvic pain, there may be compression of the pudendal nerve most often enacted by the sacrotuberous ligament. Of course, general sacroiliitis and other types of disorders might also affect the joint, creating posterior symptoms in the deep buttocks region. The posterior sacroiliac joint resides in the buttocks anatomy, as well as in the area of the hip. 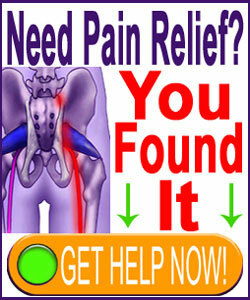 Therefore, it is possible that pain here might be mistaken for lower lumbar back pain or hip pain. 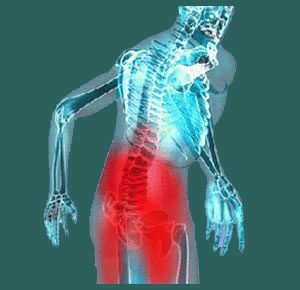 In many instances, there may also be incidental lumbar abnormalities, such as arthritis, herniated discs or disc desiccation visualized and/or hip degeneration present. Remember that both of these anatomical areas are subject to degenerative processes even more than the typical SI joint. It is because of these truths that many SI joint conditions are misdiagnosed. Some people are told that it is their sacroiliac that is symptomatic, while it is really a lumbar spine-related, hip-related, regional disease or mindbody process which is enacting the pain. More likely, patients will be mistakenly diagnosed with lumbar or hip issues when the SI joint is the actual culprit. These common diagnostic blunders help to explain why so many patients suffer disappointing results from seemingly appropriate treatments and some might even endure failed surgery for one or more conditions. Patients are strongly cautioned to always seek evaluation and symptomatic correlation from an expert in SIJ disorders. More importantly, patients are warned to seek out more than one diagnostic and treatment opinion before agreeing to any type of care. There are far too many possible things that can go wrong during the diagnostic process to accept any single medical opinion as fact. Failure to follow our advice about seeking a second opinion is the single most common reason for poor therapeutic results. Be sure to account for all symptoms that might be related to your buttocks pain, even if they seem unrelated. The more you can tell your doctor, the better your chances of being diagnosed correctly. Every bit of information will help them to fill in the puzzle of pain and come up with the right solution for your needs. Be sure to inform them of every potential contributor, including life stresses, diseases, drugs you are taking and any other relevant details. Remember, sacroiliac pain often results from a combination of factors working together or might be directly caused by a completely alternative explanation, like a mindbody syndrome.